Traveling like a local and having fun has never been easier. The Spanish startup GuruWalk launched more than a year ago the first global platform of tours only based on tips; allowing any traveller to book an affordable tour wherever they go, and also allowing anyone to become a guide in their own city, everywhere in the world. The booking is completely free and the tours don’t have a fixed price. 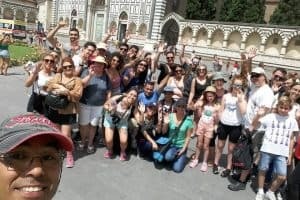 Travelers can give whatever they want at the end of the visit, according to their budget and the experience they had on their own GuruWalk -walking tours. These tours may be one of the greatest ways to discover a city and a culture. If you just moved to Spain or if you are traveling there, booking a GuruWalk will allow you to have a clear understanding of the traditions, style of life and culture of the country. Indeed, this type of tours offer a great alternative to the traditional tour. They are given by knowledgeable locals passionate about their cities who will show you the secrets, curiosities, and places of interest of their cities. Since the guides are only rewarded through tips, they try their best to be entertaining until the last minute, making the tours both fun and educational. 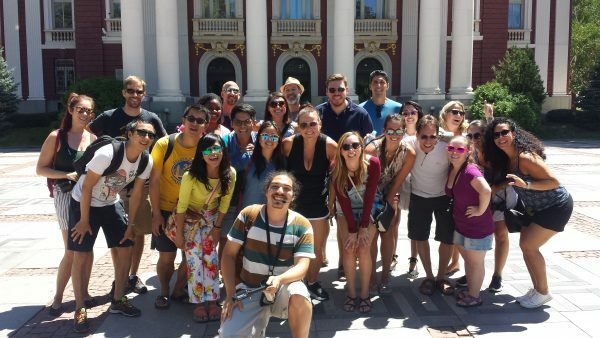 These tours are also a great way to make friends and meet locals or people from many different places. Nowadays, the company has around a thousand tours listed in more than 200 cities worldwide, but given the fact the startup comes from Spain, the offer is huge there. In Spain there are guruwalks in more than 50 cities: Madrid, Barcelona, Alicante, Zaragoza, Granada, Malaga, Girona, Cordoba, Valencia… and many more. The tours are usually very original and cover diverse topics such as: gastronomy, history, sports, arts, nightlife, architecture etc. The vast majority of tours have both a Spanish and an English session. To make it easier for you, we are going to let you know about some of the most popular guruwalks available in different cities of Spain. In Barcelona, there are more than 20 guruwalks available. Including a gothic quarter walk, a tapas itinerary, a nightlife tour, a Park Guell visit, a Gaudi based tour, and many more. One of the most popular, in just two hours, allows you to learn about modernism while you discover the mysteries of the city. In Madrid, the options are endless. With more than 25 tours listed you can really do whatever you want. Feeling hungry? Delight your taste buds with a GuruWalk that will allow you to taste flavorful tapas while discovering Madrid’s history. Feeling active? Book Miguel’s running tour and run with him for 10kms in the “Casa de Campo”. Passionate about photography? Meet Carolina and share your love for pictures with her through the photography tour. But not only these two iconic cities of Spain have great options. In almost every city there is something worth trying. As an example, if you just moved to Seville with your family, the gymkhana tour may be the best (or at least the most entertaining) way to learn more about the city. If you are feeling adventurous during your stay in Tenerife, you can book a GuruWalk featuring a very special walk inside volcano lava tubes. If you are doing the famous “Camino de Santiago” you can’t miss the GuruWalk that takes a close look to the gargoyles of Santiago de Compostela. Finally, if relaxing by the beach in Ibiza and looking for some calm, meet Miguel Angel and discover the best hidden beaches. To book a tour the process takes less than a minute and is pretty straightforward. You just have to go to GuruWalk’s sitemaps, look for the city you’re interested in, then select the desired tour and book it by picking a day in the “See dates” section. New cities and tours open every week, so if you can’t find the city you want to visit, it will probably be available soon. By checking the reviews left by other travelers you can verify the quality of the guide and the style of the tour in a transparent manner. After taking a tour, you can also leave your own review to help other people decide. A great advantage offered by the platform is the fact that the booking is free and can be cancelled at anytime reaching out to your guide. So, if you are not sure about your plans, you can book the tour and decide later on if you finally take it. Regarding the pricing, the average tip left by people is 10€. But you can really leave whatever you want. Some people leave 5€ and some other 50€, it’s entirely up to you! Also, if you’ve been living in Spain for a while, love to meet new people and are passionate about Spain’s culture, you may want to join the platform as a guide. Guides are usually friendly people with a deep knowledge of a specific topic (architecture, arts, history, gastronomy…). The platform allows them to upload their tour proposal and start receiving bookings once approved, making up to 3000€ a month. Finally, one of the key aspects of GuruWalk is the fact that it is a community. A community of people passionate about travelling in a different way, learning and having fun. By booking a guruwalk you will join a community of more than 30 000 travelers from all around the world that have already walked with a guru.